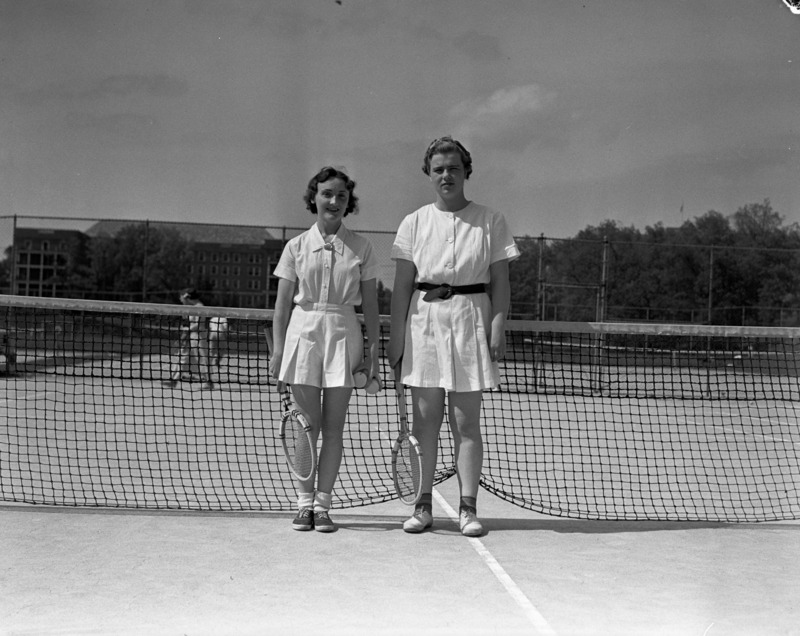 STAR ON COURTS: Miss Merida Hobart, left, added the University of Michigan women's tennis title to her list of championships recenly when she defeated Miss Catherine A. Sanders, right, in the finals of the annual tournament held at the Palmer Field courts. Miss Hobart is also women's city champion. Miss Sanders defeated a number of strong opponents on her way to the campus finals and made a fine showing against Miss Hobart before losing 6-2; 6-2.